Can't play AVI on iPad? Looking for ways to watch AVI on iPad smoothly? Here we go! Actually, iPad supports AVI files that are compatible with the Motion JPEG standards. However, the most used DivX and XviD AVI movies are not supported. Then how to play these AVI files on iPad without any problems? All you need to do is to change AVI format to iPad friendly MP4, MOV or M4V. Here the quick start user guide uses video converter for Windows screenshots to show you how to easily convert and watch AVI videos on iPad. The way to finish the task on Mac OS X is the same. You just need to make sure you've got the right version according to your operating system. After downloading, install and run the program. Then you can either directly drag the AVI movies you want to the program to the left item bar or click Add Files to browse and select AVI files from your hard drive for converting. Batch conversion is well supported so you can add many files at a time. 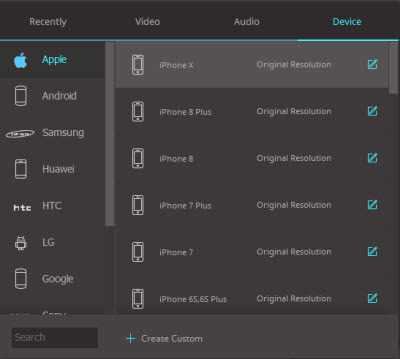 After the files are loaded, you can preview them, take snapshots of your favorite video scenes, choose audio tracks, select subtitles, trim videos to cut off unnecessary parts, crop files to remove black bars, rotate videos to get the right position, etc. as you like. And apart from AVI, it can also convert MKV, WMV, VOB, MOV, MP4, MTS, FLV, ASF and more to iPad. To view AVI on iPad, you need to select a format that iPad highly supports. Confused at what format to choose? No, now you don't need to! 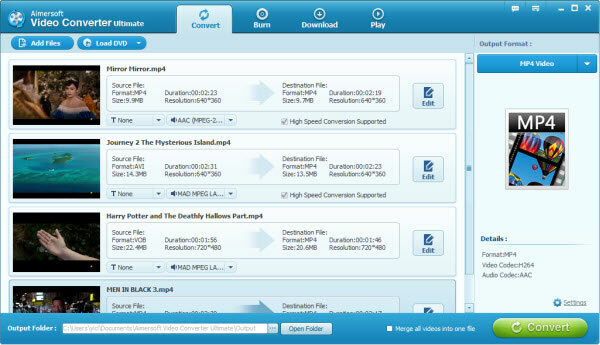 Aimersoft Video Converter has provided the video presets for iPad 4, iPad mini, the New iPad, iPad 2 and iPad. Simply select your iPad model as the output video format to let the software convert AVI videos with optimized settings for playing on your iPad. When all settings are done, click the big Convert button to start converting all the added files to iPad playable videos. The video converter is equipped with the acceleration technology so the conversion won't take much time. When the conversion finishes, click Open Folder to find the converted video clips and transfer them to your iPad via iTunes. After that, you can play and watch the movies on your iPad. Just enjoy the movies! Azul Media Player for iPad lets you play most video file formats on iPad without converting the movies, of course, including the popular AVI format. Moreover, this handy iPad AVI player app is also a video downloader that allows you download and stream online videos. It's Playing is another great AVI player for iPad, supporting up to 1080 definition and showing subtitles in different languages. Actually, it supports most popular video formats, including MKV and WMV. You can even directly open media files from dropbox and play MP3 music files. This application is a really good AVI video player for iPad. Supported video and audio formats include AVI, WMV, MKV, FLV, MP4, VOB, MP3, OGG, WMA, etc. The interface is not as friendly as other iPad AVI file players so you may find it a little hard to use at the beginning. The same as Azul Media Player, it can also save online streaming videos. Another app that enables iPad to play local AVI movies is the CineXPlayer. Though it doesn't support as many formats as the other 3 apps, it better supports AVI and displays the movies than other apps. That why here it's strongly recommended as one of the top 4 AVI movie players for iPad.